John Seebach | Colorado Mesa Univ. John D. Seebach, PhD, is an archaeologist specializing in the prehistory of the western United States with particular interest the Paleoindian era (ca. 12,500 - 8,000 years before present). He is currently continuing his technological analyses of the Folsom lithic assemblage from the Chispa Creek workshop from far west Texas, and is beginning to document the Paleoindian materials found in the vicinity of CMU. Seebach also maintains a flourishing interest in the Late Formative prehistory (ca. 900-1300 AD) of the Western Slope, seeing distinct socioeconomic parallels between the small, agricultural hamlets of the region with those of the contemporaneous Jornada-Mogollon of the Chihuahuan Desert. Whether from 12,000 years ago or the 12th century AD, Seebach's primary goal is to document the ways in which prehistoric Native Americans adapted to the arid environments of the American deserts. Seebach is also the program director for CMU's burgeoning archaeology minor. 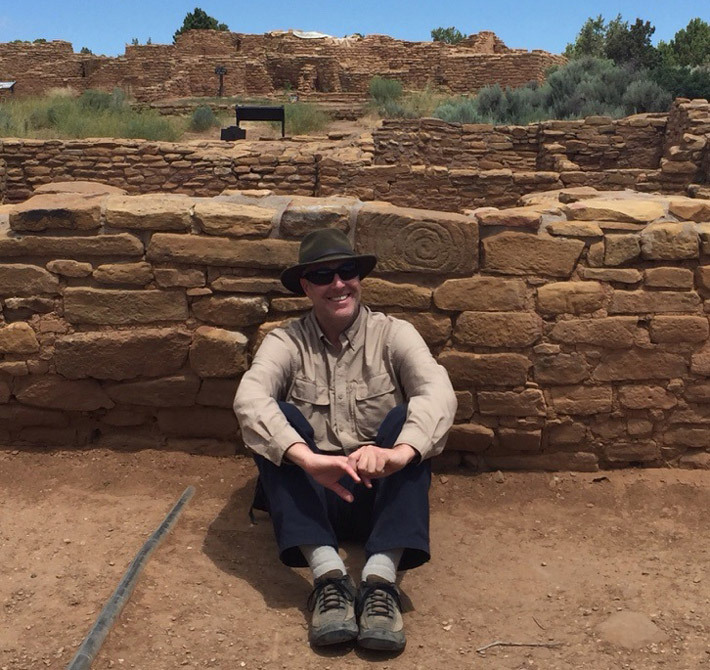 He will be growing the program to take advantage of the wealth of archaeological resources in Mesa County and the surrounding region over the next few years, and invites all interested students to lend a hand. His courses include Introductory Anthropology, North American Archaeology, Southwestern Archaeology, Archaeological Field Methods and a range of specialized topics courses.